As the leafs are falling on the ground, the trees – becoming denuded, the weather slowly but surely getting colder and severer, our daily walking tours are decreasing in number too. As the days are getting shorter the time for our winter schedule is also coming. From 1st October a guide is going to wait for you on the usual spot in front of the Municipality building on Plovdiv’s main street at 2 p.m. Don’t worry – no rain, snow or cold weather can stop our guides. We’ll be waiting for you – the guests of our lovely hometown every single day. Our schedule is not going to be altered until the end of April. Come and join us on a tour! 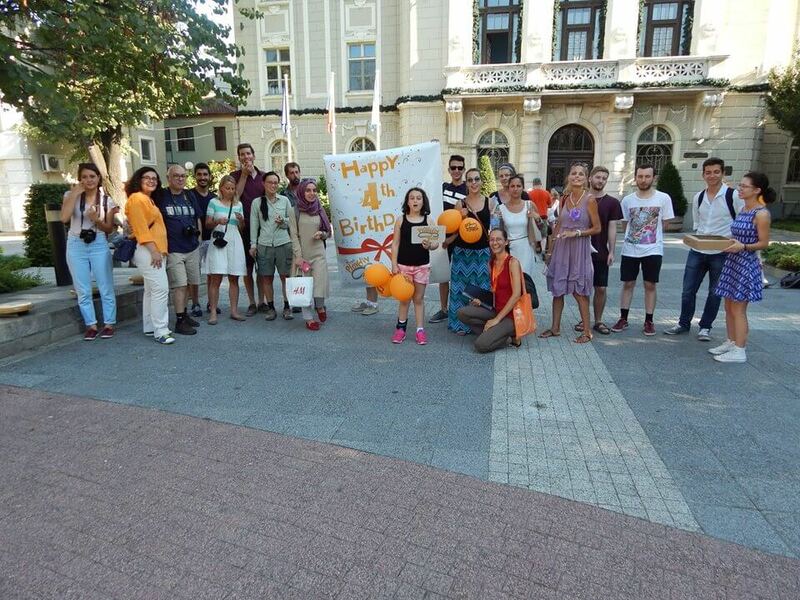 Each and every day, you can see one of our enthusiastic guides holding the Free Plovdiv Tour’s logo and waiting for you to join them for an interesting and informative walk through the streets of Plovdiv. Don’t miss it – the city is amazing! Some things are going through an alteration, but others are being preserved. This is the case with our newest product – Kapana Tour – tour of the artistic neighborhood of Plovdiv. 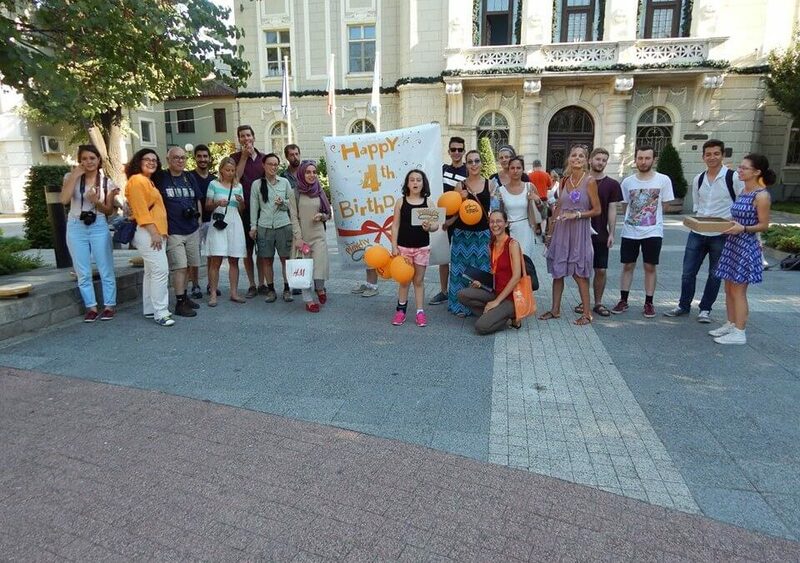 Free Plovdiv Tour’s team is looking forward to seeing you! Have a nice stay in Bulgaria!